CHO HENG | We mourn the passing of the King Bhumibol Adulyadej. 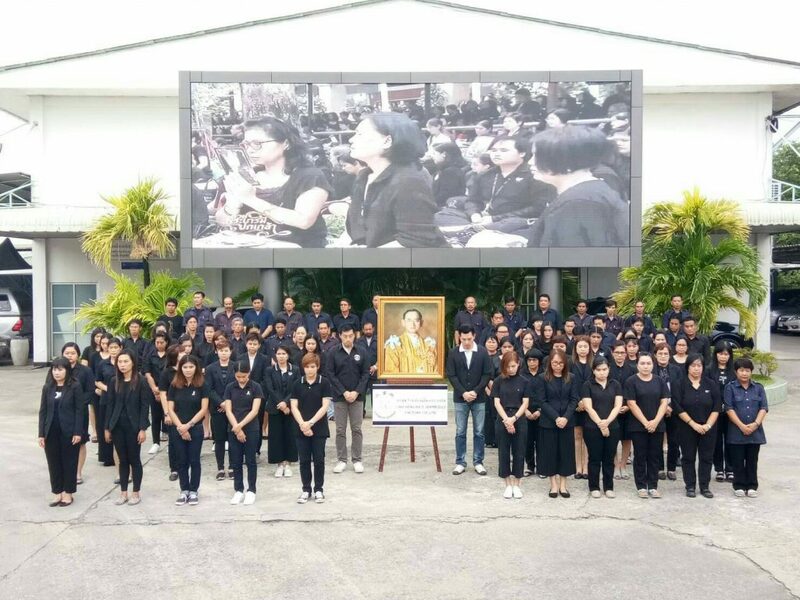 At 15.52 pm., 13 October 2017 at Choheng Rice Vermicelli Factory Company is showing loyalty in Loving Remembrance of H. M. King Bhumibol Adulyadej (1927-2016) On the 1 year of the death. Standing for 9 minutes. Our deepest condolences on the passing of the King.